Eleven billion dollars. That’s the total tally of the national school-food program in the United States and just a small fraction of what public institutions in this country spend every year in taxpayer dollars on food—including food for county jails, hospitals, city parks, and more. Public food procurement is clearly big business. But we also believe it can also be a force for good. On May 16, Cook County—home to Chicago and one of the largest counties in the country—joined a growing movement of public institutions when it adopted a procurement program that does just that: promotes public health, community well-being, animal welfare, social justice, and environmental protection. It may seem like common sense that public institutions should promote the public good, but when it comes to food purchasing that’s not usually the case. All around the country, in local governments and public-school districts, officials pore over the minutiae of contracts for bread rolls and chicken patties, pizzas and salad greens. The dominant decision-making criteria? The cheapest bid. In 2011, community leaders in Los Angeles started asking what it would take to transform that decision making so that city leadership could make food purchases based on shared principles, not just price tags. The result is the Good Food Purchasing Program, passed first in Los Angeles in 2012 and now in four cities nationwide. The Good Food Purchasing Program views purchases through five values: public health, local economic development, animal welfare, worker wellbeing, and the environment. The program can also be used, as it will in Cook County, to incentivize public institutions to support under-capitalized businesses—that is, those that have been historically shut out of tax incentives and access to technical and financial support. The idea is to help to correct long-standing inequities in the food system. In the cities where it has passed, we’ve seen real impact. In Los Angeles alone, with support from the Center for Good Food Purchasing and other partners, program implementation catalyzed 220 new, good union jobs in the local food economy and a $70 million multiyear poultry contract with a producer committed to keeping antibiotics out of its feed. Following adoption of the program, the school district cut meat purchases by 28 percent, reducing water use by 1 billion gallons a year among other benefits. And the district’s largest food distributor rethought the source of its wheat, choosing to buy from California farmers for the first time and milling it in the heart of the city. Now more than 80 percent of all bread products served in LA schools come from California-grown, sustainably produced wheat. Inspired by this impact, the Chicago Food Policy Action Council and a coalition of over 40 organizations have led the way in Cook County. As a first step, the groups helped press—and win—the adoption of the program in the City of Chicago in 2017 transforming the way food is purchased by its public schools as well as its parks department. Now, with leadership from Cook County Board Commissioner Jesus “Chuy” Garcia, the county is following suit, making it the first in the nation to adopt the Good Food Purchasing Program. The Chicago Food Policy Action Council estimates that the county spends $20.6 million on food annually across its agencies. This all sounds good, you might be thinking, but these are tax dollars at work; shouldn’t public institutions entrusted to use money wisely make the most economical choice? Well, here’s the rub. Cheap food isn’t always so cheap. Consider the costs in the United States of the illnesses and deaths linked to unhealthy food (blights that fall mostly on low-income communities and communities of color, where millions live either without access to good food or in food environments with too much unhealthy food). Health-care costs from diagnosed Type 2 diabetes total a staggering $327 billion a year—a cost we all share. Or consider the price to taxpayers when private-sector employers fail to pay living wages. Around the country, food-sector workers are among the most underpaid and exploited and are twice as likely as workers in any other sector to rely on government assistance to put food on their table. With the Good Food Purchasing Program, good food means good jobs. But let’s also be clear: While the program incurs a range of community benefits, it doesn’t always cost more. Analysis of the Good Food Purchasing Program has found that food costs don’t necessarily go up after implementation. 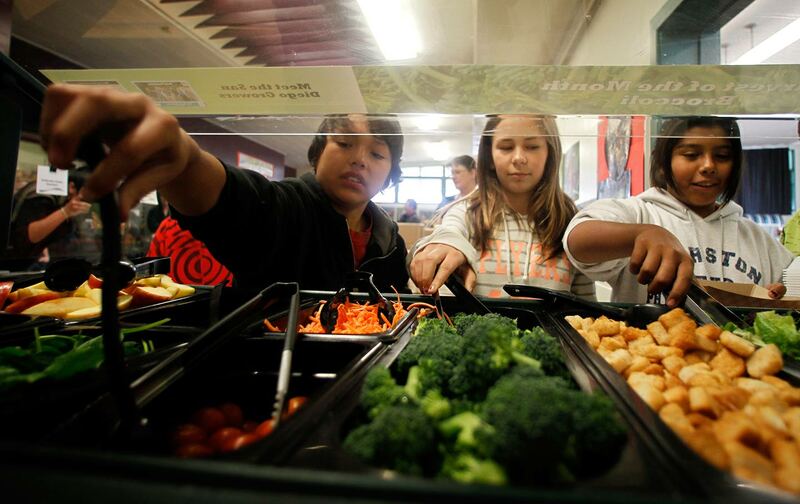 In Oakland, for instance, the school district’s choice to buy better and, yes, more expensive meat—increasing the amount of 100 percent grass-fed beef and antibiotic-free chicken purchases, for instance—was coupled with a reduction in meat purchases. The result? The more expensive choice was actually cost neutral and the customers—those finicky kids—reported high rates of satisfaction. Cook County’s groundbreaking decision to adopt the program is just the latest sign of the momentum nationwide for tapping the enormous buying power of public institutions for the public good. Another 13 cities across the country—including Austin and New York, Cincinnati and Washington, DC—are actively pursuing the program. If all pass it, the program will reshape a whopping $880 million worth of food purchases annually. Cook County’s adoption of the Good Food Purchasing Program is a huge leap forward in the quest of good food for all. Who’s next? Jose OlivaJose Oliva is the co-director of the Food Chain Workers Alliance and Board member of the Chicago Food Policy Action Council.